Regular Papers should be no longer than eight (8) pages, Short Papers should be no longer than four (4) pages, Demonstration Papers and Posters should be no longer than two (2) pages. Only electronic submission will be accepted. 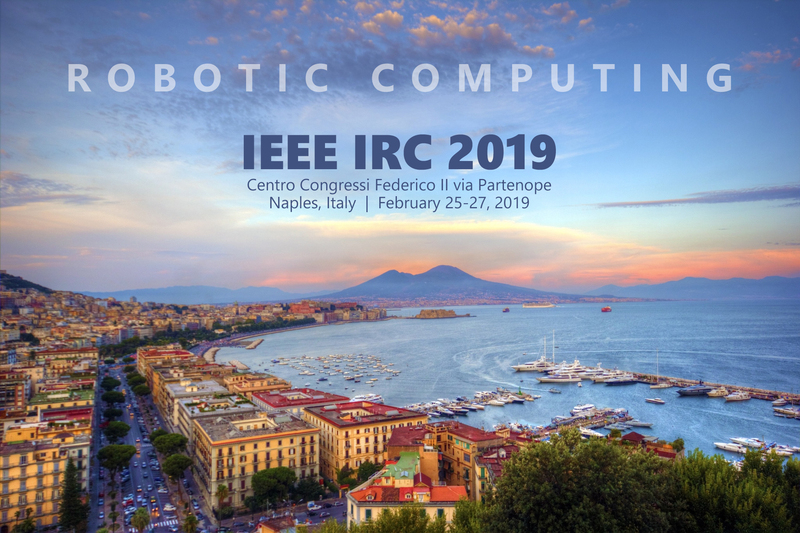 Technical paper authors MUST submit their manuscripts in PDF through the EasyChair IRC2019 website (please register if not an EasyChair user). Your final papers MUST be formatted to IEEE Computer Society Proceedings Manuscript Formatting Guidelines (see the following link below). It is highly recommended that you proofread and check the layout of your paper BEFORE submitting. Please follow this link. – It may only be submitted in PDF format. 1. Every paper accepted for IRC 2019 and workshops MUST have attached to it at least one registration at the full member/nonmember rate. Thus, for a paper for which all authors are students, one student author will be required to register at the full registration rate. 2. In the case of multiple acceptances, each extra paper can be registered with a discount of USD$100. 3. A full or concise paper registration is entitled for a free poster registration. 4. Every registered paper will be included in the conference proceedings and MUST be presented during the conference. 5. Failure to register will result in removal of your paper from the conference proceedings and the IEEE eXplore library. 6. Failure to present a paper at the conference without a substitute (no show) will result in removal of your paper from the IEEE eXplore library. 7. The page numbers for regular, short, industry, workshop, and poster papers are limited to 8, 4, 4, 8, and 2 pages, respectively, including all figures, tables, and references. 8. Regular, short, and workshop papers are allowed up to 2 extra pages with $150 per extra page. No extra page is allowed for posters, demo papers, or extended abstracts.